Dont waste your money. 'No Win7 64bit support and Sonim not interested in it either. I have used the regular and crashed it, so i got a replacement and it is a pro version, with the gorilla glass, but i can't activate my flashlight by holding the camera button. it just doesn't work with the pro and it did work with the normal quest. sonim doesn't reply, anybody has some ideas? just got my quest pro last week. works great, battery is still half full. i cant change the ring tone though. there is no speed dial. they r made in china. i havent dropped or drown it yet. Gi Joe, 28 Oct 2010How about the signal? Anyone can tell me how is the signal? 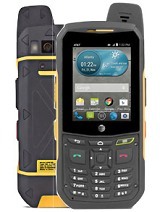 Is it enough powerful in low-signa... moreif you want a rugged phone but are worried about the singal go for the ittm monaco outlimits ip57 but with dual sim so no signal problems. How about the signal? Anyone can tell me how is the signal? Is it enough powerful in low-signal areas? Michael, 17 Oct 2010The phone is as rugged as the day is long. But the driver will not install under Windows 7. SO... moreYeah.. I get that sometimes but soon as i see that im not being heard well i hang up and call again and its sorta goes away dont know why but dont care.. not every day u can text or talk while in the pool or shower! thanks sonim!! 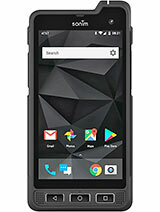 The phone is as rugged as the day is long. But the driver will not install under Windows 7. SOnim says it does not support Win 64 bit. Very disappointing. PC app is shoddy when you get it to work. Near impossible to install JAVA apps. Phone OS very slow. I have my Sonim XP3.20 Quest Pro for 2 months now. The phone is as described, battery is to die for, water doesn't damage it and so on. It is a great phone, with one issue. The talker on the other side doesn't hear me so good. In fact some of my friend often complain about hearing me very poorly. This only happens when I talk into the the phone. If I use earphones everybody hears me OK. Does anyone have the same problems ? Can anyone explain the difference between XP3.20Quest and XP3.20 QuestPro? this phone got longest baterry life in the world. Total of 32 user reviews and opinions for Sonim XP3.20 Quest Pro.